The hostas are starting to go, but I thought I could sneak in one last photo. 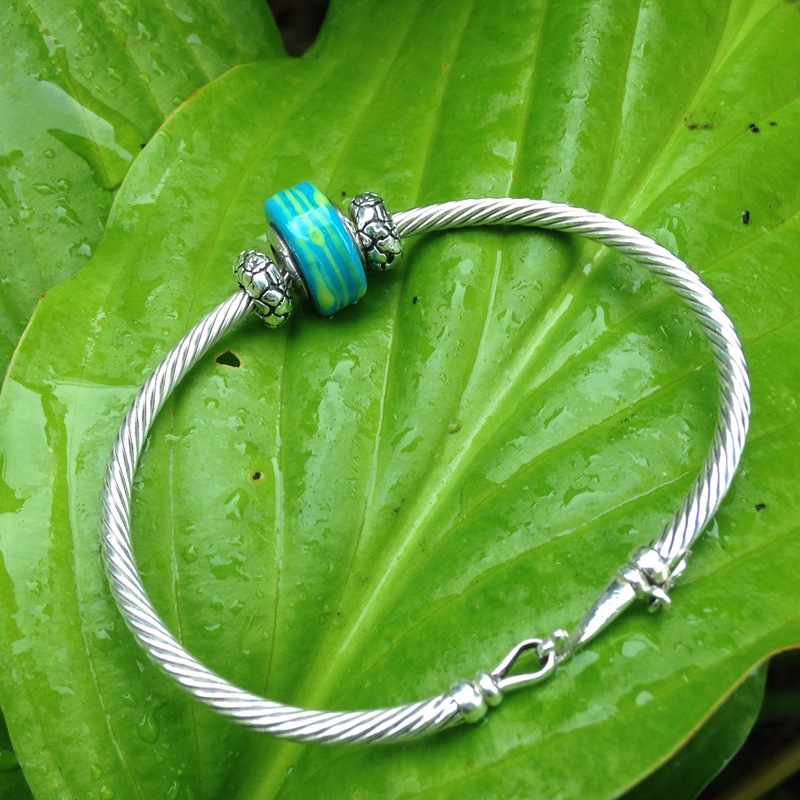 Ohm Beads Twisted Bangle with Thames bead. 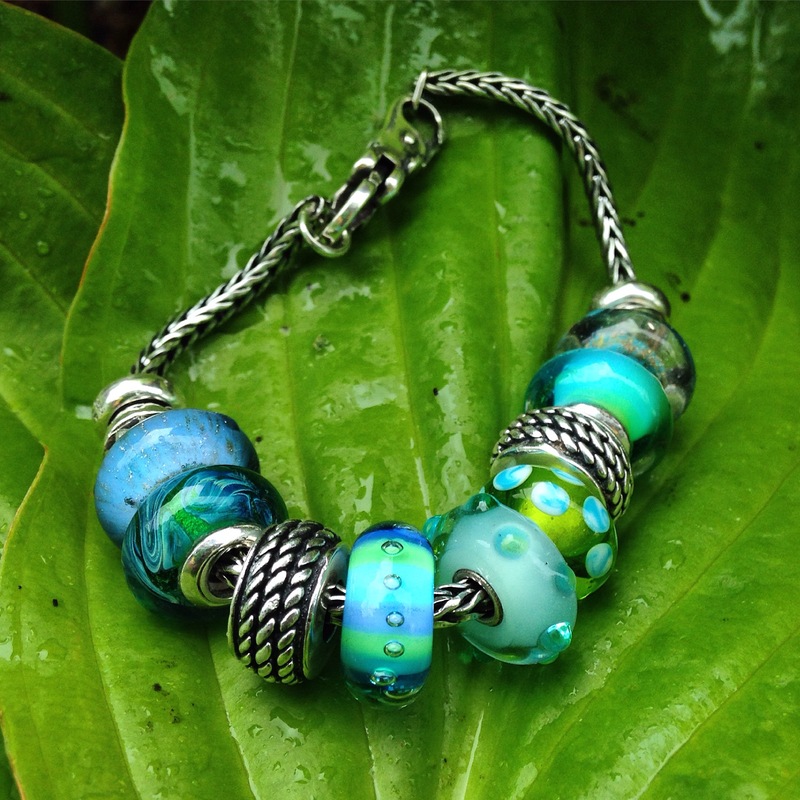 Stoppers and 1/2/5/6/7/10/11 are by Trollbeads. 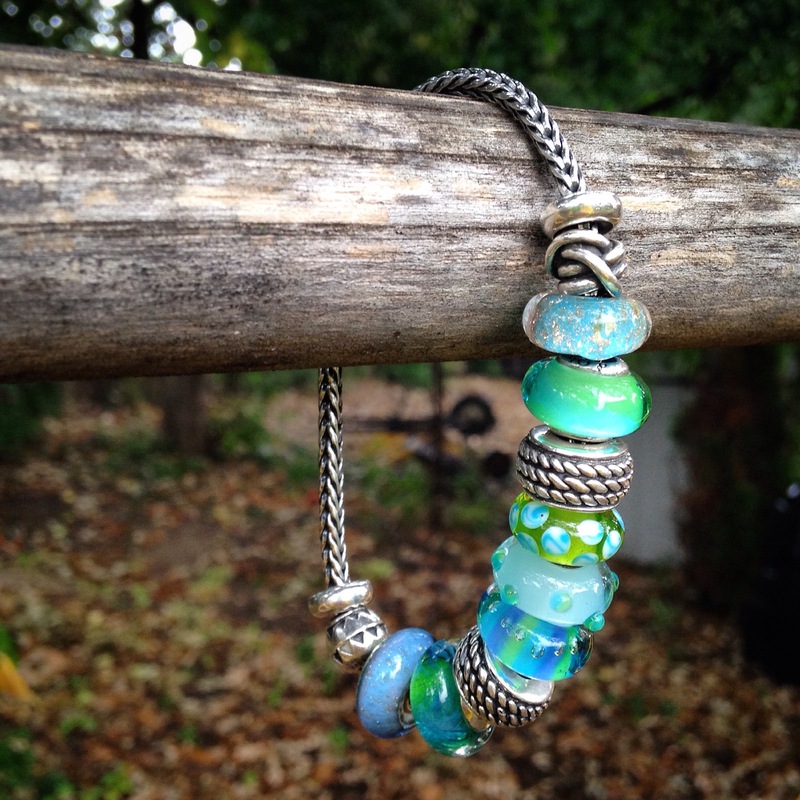 3/9 are by Ohm Beads.